Sitting at a cafe in the Parisian district of St Germaine, it is visible to see that love is all around, and, I now truly understand why Paris is called the city of love. Walking down the pebble stone road not far from where I was sitting, an elderly couple (no younger than seventy years old) showed me what it means to be in love. Still holding hands, their love for one another was unconditional and stronger than I have ever seen before. The elderly man helped his wife climb the steps of the near by store, holding the door and guiding the frail lady in. To me, this is the true meaning of love, where a man and a woman still care for each other after being together for many years. Being witness to this couple, I believe that the secret of living a fruitful and long life is having love around you no matter how old you may be. 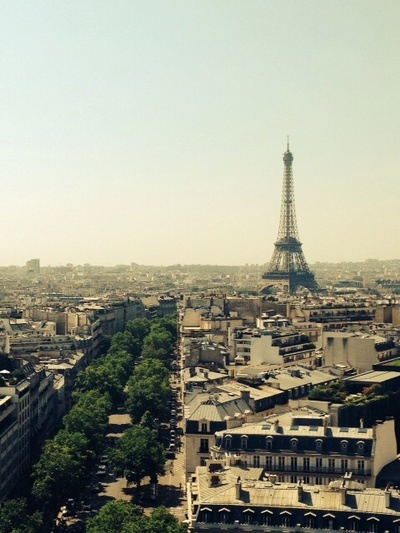 Besides seeing this beautiful couple on my travels, Paris has also shown me the importance of surrounding yourself with love, and the city gave me the opportunity to remind myself of this. On the picturesque Pont de Arts, ones of the main bridges that crosses the main river of Paris, thousands of people have left a lock representing the love couples have for one another. 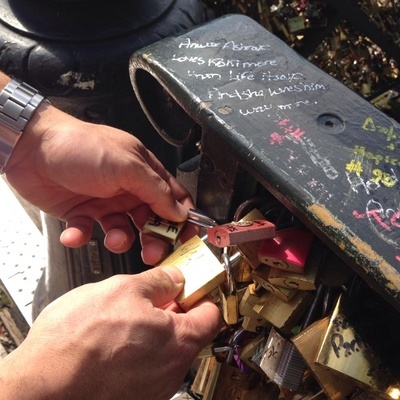 Tourists from all parts of the world have left a piece of themselves in France sealing their love with a lock. With people of all nationalities leaving a lock, no matter what language they speak, they all understand the language of love. Paris will always be known as the city of love filled with many locks including mine, but it is important to not leave your love in Paris. Just like the elderly couple, love should last a lifetime and we must surround ourselves around it everyday with the ones that will truly love us in return. Love should be unconditional, patient and kind - now until eternity.